At A Quality Plant, we do not just sell wholesale palms; we also nurse palms in their varieties. Think of almost any palm species, and we’ve raised it. 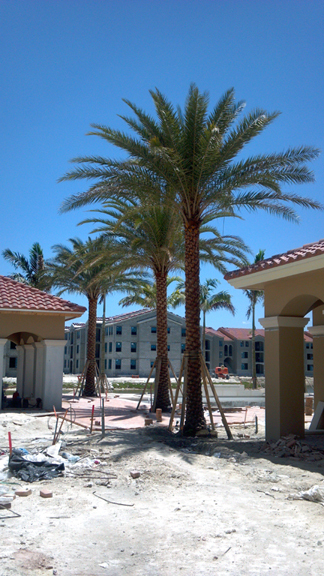 We are located in the State of Florida and nurture these palms on our large expansive palm tree nursery farm. • Field-grown palm trees, like Roebeleniis, Queens Palms and Washingtonias. We are committed to top quality service delivery, and our activities are built on integrity. Over the years, we have established a very good rapport and time-tested business relationship with our clients, both individuals, and palm business outlets. • Areca Palm: It has 8 to 10 inches overall height, and it is among the most popular Hedging Plants globally. • Dioon edule: It is a cycad from Mexico; it is also called palma de la virgen. • Bismarck Palm: It has 14 to 16 inches overall height and features a full crown of fan-shaped leaves, making it perfect for tropical and sub-tropic gardens and parks. • Sago Palm: Cycas Revoluta 7 Gallon: It came from the Japanese Ryukyu Island and can grow in virtually all climates. • Washingtonia robusta /Washington Palm: it has 10 to 12 inches overall height. It is, however, less cold-tolerant compared to the other Washingtonia species. • Phoenix canariensis/ Pineapple Palm/ Canary Island Date Palm: The clear trunk is 2 inches in height, and it can be used for landscaping. • Sylvester Palm/Phoenix sylvestris/ Silver Date Palm: The clear trunk is 6 inches tall. It is ornamented, fast growing and relatively large. • Medjool Palm/ Phoenix dactylifera/ True Date Palm: Its clear trunk is as long as 12 inches.